The ongoing, large-scale death of migrants in the Mediterranean Sea has come to play a central role in the politics of migration and borders. The disturbing presence of bodies washed ashore after a shipwreck, as well as the haunting absence of those who have been swallowed by the depths of the sea, have crystallized ongoing political debates in ambivalent ways. Migrant deaths are not only denounced by those who seek to oppose border closure and demand justice for the dead and the missing, but also, and more disturbingly, spectacularised by states to justify their securitized policies, now framed as life-saving activities. While the death of migrants at sea is predominantly described as an extraordinary crisis, a longue durée perspective is necessary to understand the emergence of this necropolitical phenomenon, and the way migrants’ lives (and deaths) have been made to (not) matter. The phenomena of migrants crossing the Mediterranean seeking to reach European territory and the deaths at sea during this perilous part of their journey have in fact a long and tragic history. With European imperial expansions towards the sea’s southern shores in the 19th century, a selective and unequal mobility regime emerged across the Mediterranean. While European settlers migrated in great numbers towards colonized territories, the northbound movement of colonized populations towards metropolitan territories was subjected to successive moments of partial opening and closure of borders, which resulted in evasion and early cases of deaths at sea. However, illegalized migration across the Mediterranean and deaths at sea became structural and highly politicized phenomena only at of the end of the 1980s, when, in conjunction with the consolidation of freedom of movement within the EU through the Schengen Agreement, visas were increasingly denied to citizens of the global South. As a result of this legal closure, migration started operating in an illegalised form, in particular by crossing the sea on overcrowded vessels. Migrants’ continued capacity to cross the Mediterranean despite legal denial was framed as a security threat that had to be combated by all necessary means. European coastal states and their southern “neighbours,” later joined by Frontex (the European border management agency) and a growing range of international military operations, have deployed a vast array of militarised bordering practices and techniques at the maritime frontier of the EU with the aim of containing migrants’ movements. These policies have never more than temporarily succeeded in stemming migrants’ crossings, and rather resulted in increasingly dangerous routes and smuggling strategies which have led to the deaths of more than 30,000 migrants at sea since the end of 1980. The Mediterranean Sea has thus become the liquid terrain of a mobility conflict which has resulted in the perpetuation of a deeply hierarchised and segmented mobility regime: speedy and secure for certain goods and privileged passengers, slow and deadly for the unwanted. The “geopower” of the sea, which, following Elisabeth Grosz, we understand as the “forces that precede, enable, facilitate, provoke and restrict ‘life’,”  plays an ambivalent role in this context: it is used by migrants to enable their precarious mobility through which they contest European policies, but it also adds friction to their movement, and has been turned into a deadly element. Migrants do not only die at sea, but, through the sea, as a result of the EU’s exclusionary policies which precaritize their crossings. The liquid element has thus been weaponized within the mobility conflict, enabling a form of killing without touching. This indirect form of violence is difficult to perceive as such and legal responsibility for it difficult to assign. Making these two elements emerge has precisely been our aim through the Forensic Oceanography project, which we launched in 2011 within the wider Forensic Architecture research project. Reappropriating the multiple surveillance means that have been deployed to detect acts of illegalised border crossing, we have sought to re-direct their “light” towards the violence of the border itself. In addition to making the traces of lethal state policies and practices emerge, we have spatialised them within the particular legal architecture of the EU’s maritime frontier so as to determine responsibility for them. 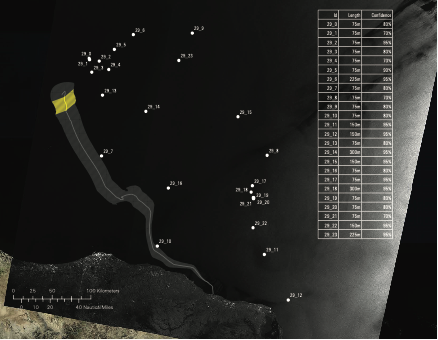 Figure 1: Analysis of the 29th of March 2011 Envisat satellite image showing the modelled position of the “left-to-die boat” (yellow diagonal hatch) and the nearby presence of several military vessels who did not intervene to rescue the migrants. Our research and reports provide a unique perspective into the changing forms of violence exercised at the EU’s maritime frontier since the Arab uprisings in 2011 led to the re-opening of the Mediterranean to migrants’ crossings. European states were taken off guard by the vacuum left by the toppling of their former Libyan ally, Muammar Gaddafi. Unable to stop crossings, and unable to deport migrants back to Libya, they sought to evade responsibility for rescuing and disembarking them. As a result, several cases of non-assistance were documented, such as the ‘left-to-die boat’ in 2011 in which 63 people died after being abandoned to drift at sea at the height of the NATO-led military intervention in Libya, and despite repeated interactions with state actors. This case represents a dramatically paradigmatic example of a form of migration regime that, to paraphrase Foucault’s famous dictum, operates by making flow and letting drown. However, the 3rd of October 2013 shipwreck near Lampedusa led to a radical, if temporary, break with practices of non-assistance. The death of more than 366 people only a few meters away from the island’s coasts led the Italian government to single-handedly launch, a few days later, the “humanitarian and security” Mare Nostrum operation. In the frame of this operation, an unprecedented number of Italian Navy ships proactively patrolled close to the Libyan shores to rescue migrants and disembark them on Italian territory. Another novelty of this phase was that, during this period, migrant shipwrecks started to be granted extraordinary media attention. While for many years mainstream news outlets had dedicated scant attention to the ongoing death of migrants at sea, information on how many migrants had died, how many had been rescued and how many were feared missing became a daily presence across the media. This spectacular “visibilisation” of deaths, however, did not lead policy makers to fundamentally challenge the exclusionary border regime. Rather, in the context of what William Walters has called the “humanitarian border,” repeated calls to save lives at sea have become the ground to justify increased surveillance and border control, i.e. precisely some of the very mechanisms that have led to death in the first place. This phase proved short-lived, as the Mare Nostrum operation soon came under attack for allegedly constituting a “pull-factor” for people to cross the Mediterranean. The argument that the increased safety provided by the mission was inducing too many migrants to attempt the perilous crossing was used as grounds to terminate Mare Nostrum at the end of 2014. As of the 1st of November 2014, the Triton operation led by Frontex, was launched instead, deploying fewer vessels in an area further away from the Libyan coast and with border control instead of rescue as priority. In this policy of retreat, we can see a shift from practices of non-assistance, to a veritable policy of non-assistance through which the EU and its member states have sought to keep their rescue means as far as possible from migrants in distress in the aim of deterring them from crossing. As we have shown in our report “Death by Rescue,” this only led to a staggering increase in migrants’ deaths at sea. Still unable to deter migrants from crossing the sea from Libya, and after a growing number of NGOs had courageously stepped in with their own vessels to fill the lethal gap in rescue capabilities left by the ending of Mare Nostrum, Italy and the EU have opted since 2016 for a two-pronged strategy aiming at containing migrants on the Mediterranean’s Southern shore: on the one hand limiting rescue at sea by criminalizing NGOs, on the other enlisting the Libyan coast guard to intercept, pull-back, detain and – with the support of the International Organization for Migration – deport migrants from Libya. Since Summer 2017, migrants’ arrivals in Italy have dropped, but this has been at a harrowing human cost: migrants continuing dying at sea but also in ever-greater numbers in Libyan detention centers and the Saharan desert. Moreover, in this phase of marked de-humanitarianisation of the border,  the lives of migrants appear to have increasingly lost even their discursive value, as the absence of any representative of the current Italian government at the ceremony commemorating the Lampedusa shipwreck deaths this year indicates. The mobility conflict of which the Mediterranean Sea is the main fault line is thus rippling ever further and the violence of borders follows migrants across their entire trajectories as European states are temporarily succeeding in re-imposing their violent order onto migrants’ movements. While activism against deaths at sea has provided over the years a fundamental expression of what with Étienne Balibar we might call a form of anti-violence against the border regime and its deadly effects, this enduring conflict is bound to continue as long as the colonial asymmetries which gave rise to it are perpetuated, and the demands for freedom, equality and autonomy of the people of the global South continue to reverberate through their enactment of their freedom to move. Nicholas De Genova, “The ‘Migrant Crisis’ as Racial Crisis: Do Black Lives Matter in Europe?,” Ethnic and Racial Studies 41, no. 10 (August 2018): 1765–82. Julia Clancy-Smith, Mediterraneans, North Africa and Europe in an Age of Migration, c. 1800-1900 (Berkeley: University of California Press: 2011). Olivier Le Cour Grandmaison, “Colonisés-immigrés et “périls migratoires”: origines et permanence du racisme et d’une xénophobie d’Etat (1924-2007),” Cultures & Conflits, 69 (2008): 19-32. Nicholas De Genova, “Spectacles of migrant ‘illegality’: the scene of exclusion, the obscene of inclusion,” Ethnic and Racial Studies 36.7 (2013): 1180-98. This figure is based on Fortress Europe data (http://fortresseurope.blogspot.com). For a discussion of the way this conflict can be located within a discussion of warfare see Glenda Garelliand Martina Tazzioli, “The Biopolitical Warfare on Migrants: EU Naval Force and NATO Operations of Migration Government in the Mediterranean,” Critical Military Studies (forthcoming). Kathryn Yusoff et al., “Geopower: A Panel on Elizabeth Grosz’s Chaos, Territory, Art: Deleuze and the Framing of the Earth,” Environment and Planning D: Society and Space 30, no. 6 (2012): 973–975. Michel Foucault, “Society Must Be Defended”: Lectures at the Collège de France, 1975-1976, trans. David Macey (New York: Picador, 2003). See also: Polly Pallister-Wilkins, “The Humanitarian Policing of ‘Our Sea,'” Border Criminologies (blog), April 20, 2015, http://bordercriminologies.law.ox.ac.uk/humanitarian-policing-of-our-sea/ and Nina Perkowski, “Deaths, Interventions, Humanitarianism and Human Rights in the Mediterranean ‘Migration Crisis,'” Mediterranean Politics 21, no. 2 (May 2016): 331–35. 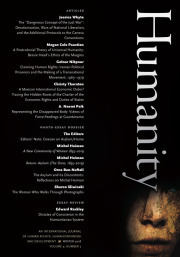 William Walters, “Foucault and Frontiers: Notes on the Birth of the Humanitarian Border,” in Governmentality: Current Issues and Future Challenges, ed. Ulrich Bröckling, Susanne Krasmann, and Thomas Lemke (New York: Routledge, 2011), 138–64. Etienne Balibar, Violence and Civility: On the Limits of Political Philosophy, trans. G. M Goshgarian (New York: Columbia University Press, 2015). Charles Heller is a researcher and filmmaker currently based in Geneva, conducting a postdoctoral research supported by the Swiss National Fund (SNF). Lorenzo Pezzani is an architect and a lecturer in Forensic Architecture, Goldsmiths, University of London.